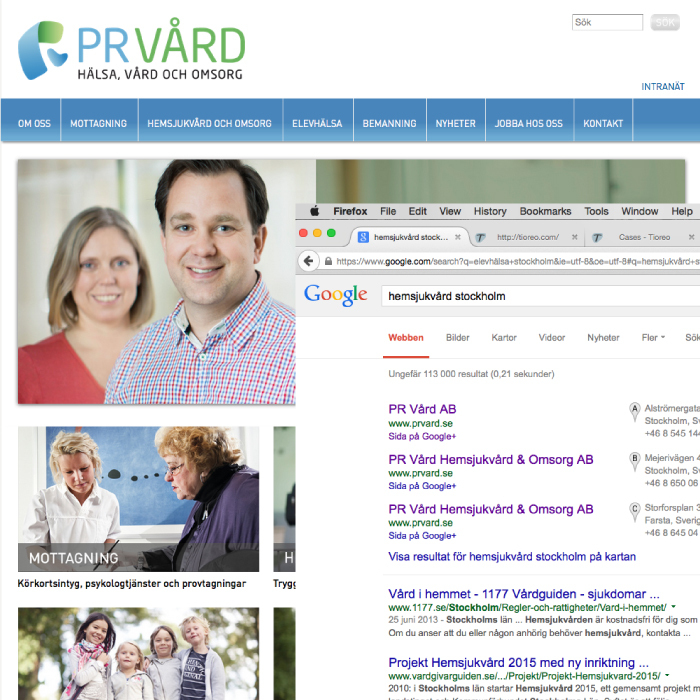 The company PR Vård is dealing with staffing in care, nursing, medical expertise areas, as well as managing a care reception in psychiatric area. Their website had been struggling with poor SEO and they wanted to start working on improving it. This is an ongoing project. (On-going) The project started with a digital marketing audit, particularly with SEO in mind. Thereafter we have done basic work to make the website SEO friendly, in close co-operation with the concerned staff of the company. Together we have worked out improved URL links and content, as well as done link building, involving for example Wikipedia and social media.